Licensed architects must successfully obtain the following number of points for annual renewal of their practicing certificates. Any excess CPD points accumulated from attending Singapore seminars/events can only be carried over to the immediate subsequent year. CPD points accumulated under with Community/Committee Services could be used as part of the CPD credit points required as per below, any excess under this category could not be carried over to the following year. (i) 59 years old and below – only a maximum of 10 CPD points under Community/Committee Services could be used as part of the 20 CPD points required. (ii) 60 – 69 years old – only a maximum of 7 CPD points under Community/ Committee Services could be used as part of the 15 CPD points required. (iii) 70 years old and above – only a maximum of 5 CPD points under Community/Committee Services could be used as part of the 10 CPD points required. BOA will do the calculations to determine the renewal status of the practitioners annually. CPD points for attending courses overseas are capped as per below. The balance CPD points shall be earned by attending seminars/courses in Singapore. (i) 59 years old and below – only a maximum of 10 CPD points under overseas seminars could be used as part of the 20 CPD points required. (ii) 60 – 69 years old – only a maximum of 7 CPD points under overseas seminars could be used as part of the 15 CPD points required. (iii) 70 years old and above – only a maximum of 5 CPD points under overseas seminars could be used as part of the 10 CPD points required. For recognised Seminars / Courses organised by AIA, RIBA or other local institutes, CPD points will be assigned under the “Other” Category and is capped at a maximum of 10 CPD points. It is encouraged that all overseas courses to be submitted for JAP’s consideration before members attending these courses. For Architects practicing overseas, they can appeal to BOA to consider the Seminars / Courses they had attended overseas. BOA will only consider these courses if members have not accumulated enough CPD points. 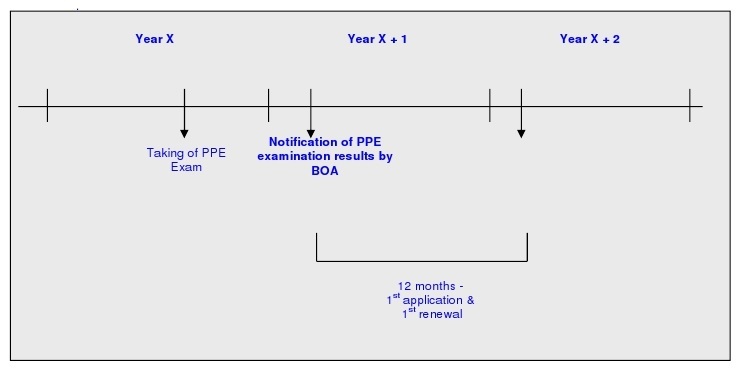 Newly registered architects are exempted from the CPD renewal requirement for their 1st application and 1st renewal within 12 months from notification of passing the PPE examination by BOA. All CPD Points accumulated before qualifying as the licensed Architects will not be carried over to the following year.